Known for her complexity, uncompromising artistry, notorious private life and gardenias in her hair, Billie Holiday still holds the status of a legendary and unique jazz diva. Her undeniable gift to make any song her own left the jazz legacy with some of its most sensitive vocal performances, including ”Lover Man,” “Don’t Explain,” “Strange Fruit” and her own composition, “God Bless the Child”. She changed her name to Billie Holiday, adapting “Billie” from the movie star Billie Dove and her father’s last name. Jazz promoter John Hammond heard Billie for the first time in New York’s Monette’s club in 1933 and wrote in the magazine Melody Maker that, “Billie, although only 18, weighs over 200 pounds, is incredibly beautiful, and sings as well as anybody I ever heard”. Hammond told clarinetist and popular bandleader Benny Goodman about Holiday and the two went to to hear Holiday at Monette’s. Both were impressed, and that was the start of Billie’s career. 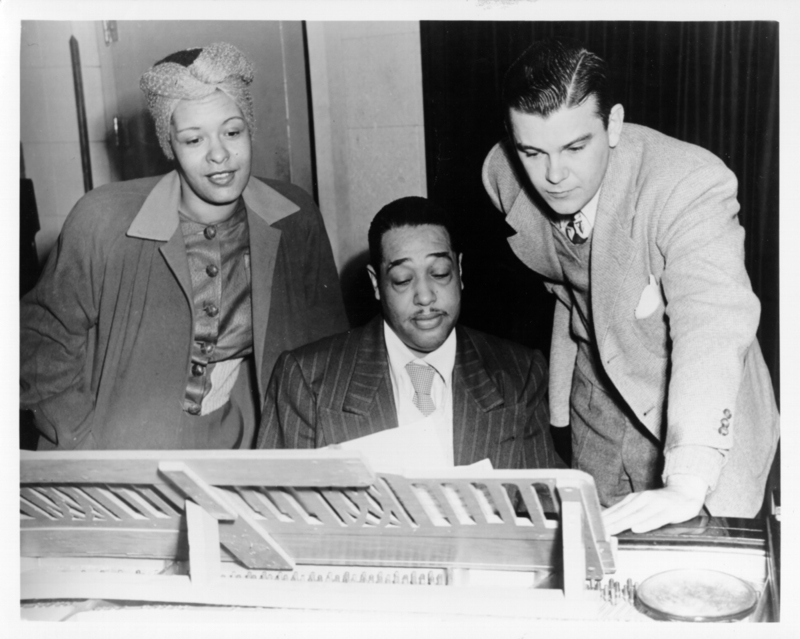 Billie went on to record and perform with Teddy Wilson, Duke Ellington, Artie Shaw and Lester Young. Her longtime friend Lester is responsible for her nickname “Lady Day,” inspired by the sophistication and grace that she would bring to every song. She nicknamed him back “Prez” as a way of expressing her admiration for Lester. After her mother’s death in 1945, Billie began drinking more and escalated her drug abuse to ease the grief. Hard living took a toll on her career. She was arrested and convicted for narcotics possession and sentenced to one year of jail time. Her conviction banned her from singing in cabarets and clubs. She was still able to perform at concert halls and sold out Carnegie Hall not long after her release. She rekindled the public’s attention by sharing her turbulent life story in Lady Sings the Blues (1956), written in collaboration with William Dufty. Soon after her last performance in New York City in 1959, she was admitted to the hospital for heart and liver problems. 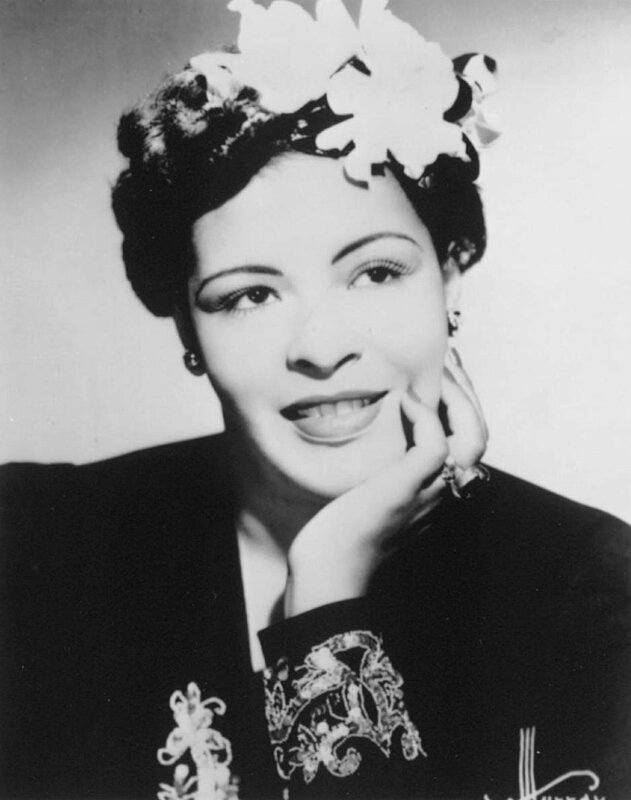 Billie Holiday passed away from alcohol and drug related complications at the age of 44. Torture and anguish were her faithful companions. She was addicted to drugs, beaten by men that she loved and abandoned, but with her music and artistry she turned all of that adversity to beauty.